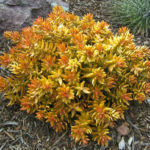 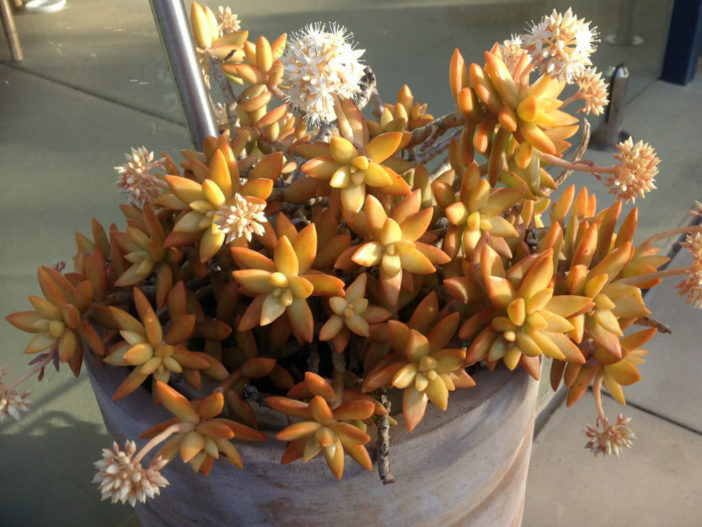 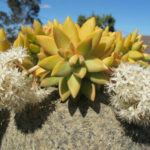 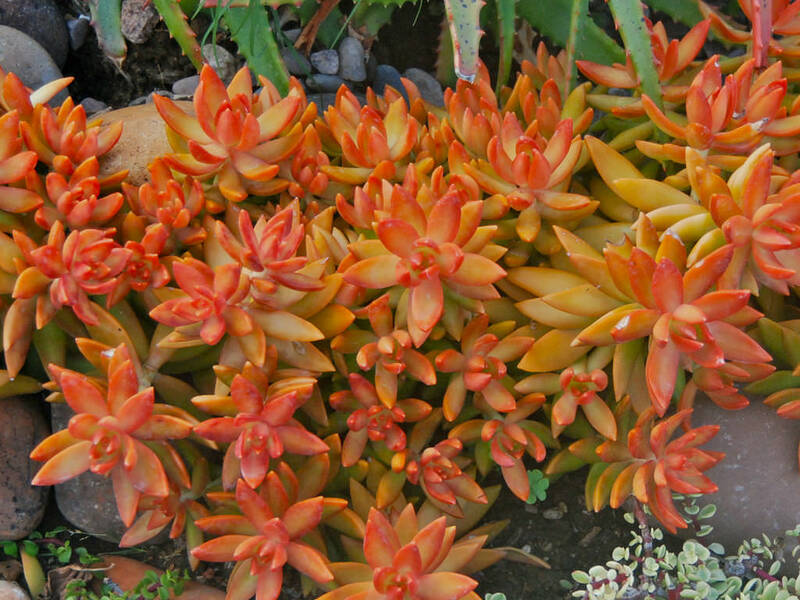 Sedum nussbaumerianum is a low growing, evergreen, perennial subshrub up to 8 inches 20 cm) tall, with reddish-brown stems that hold elongating, up to 3 inches (7.5 cm) wide rosettes. 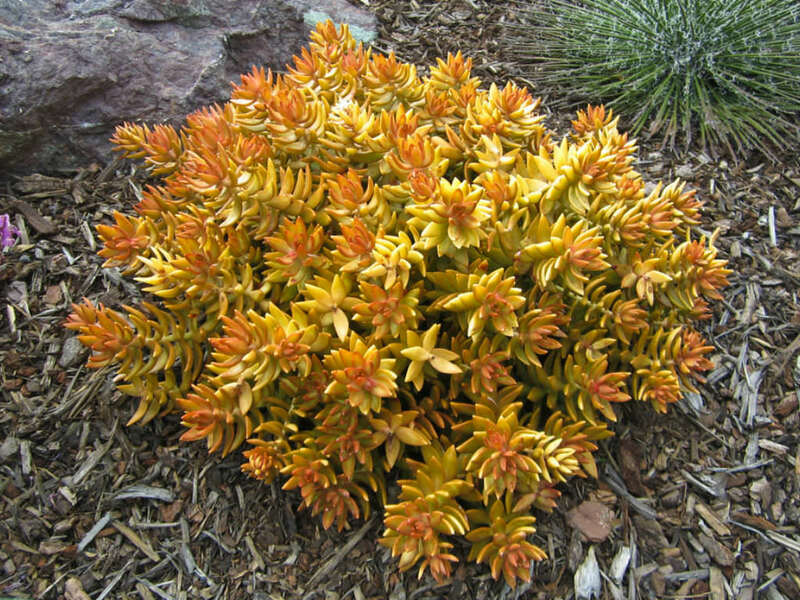 The leaves are yellow-green to coppery-red, rounded, up to 1.6 inches (4 cm) long and pointed at tips. 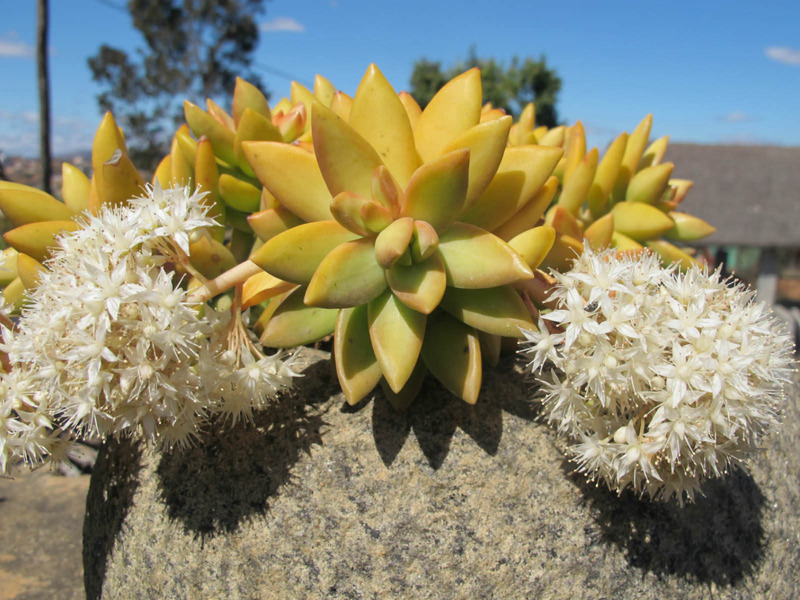 The flowers are small, pure white, star-shaped and fragrant. 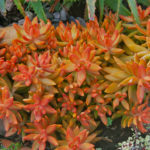 Sedum nussbaumerianum is native to Mexico.